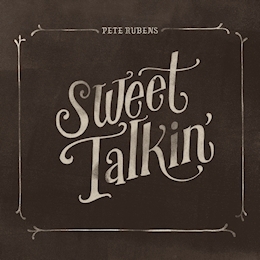 Pete Rubens' Sweet Talkin' is an impressive collection of finely-crafted original songs steeped in folk and country, with hints of old-time, bluegrass, ragtime and blues. The songs are both haunting and mesmerizing, dark and beautiful, lonesome and hopeful. They draw influence from the wellspring of American music styles and offer back a good measure of originality, while paying homage to traditions of folk music and old-fashioned storytelling. There are stories told by ghosts, and stories about ghosts; stories of soldiers, broken hearts and lost love; mountain passes and bus depots. 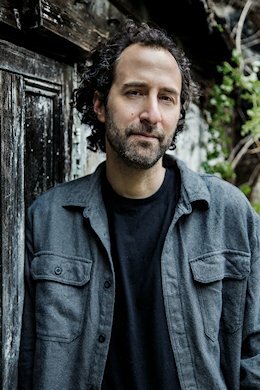 The songs travel down dusty roads and abandoned train tracks, visiting the past and dreaming ahead, as Rubens tastefully croons each tale with a natural, understated delivery which keeps it close to home. The songs' inherent timelessness is well matched by the recording. With an old-school aesthetic, the album was recorded live on vintage analog equipment over four days in upstate New York, using no electronic or amplified instruments. It captures the subtle and tasteful performances of a band including Bret Billings, Larry Campbell, Jazer Giles, Byron Isaacs, Tony Leone and Steve Mayone, with backing vocals provided by Hope Debates, Amy Helm, and Kurt Ulrich. Sweet Talkin' was produced by Todd Adelman, recorded by Joshua Kessler, and mixed by Chad Hailey.